From July 10 through July 19, Silversea Cruises’ Silver Spirit will sail from Pireaus (the port for Athens) across the Aegean Sea and up the Adriatic all the way to Venice. 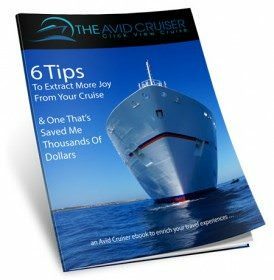 I’ll be on board the ultra-luxury vessel, and I invite you to cruise along with me, virtually. You’re going to get to know a luxury cruise experience that exceeds expectations while seeing some gorgeous destinations along the way. 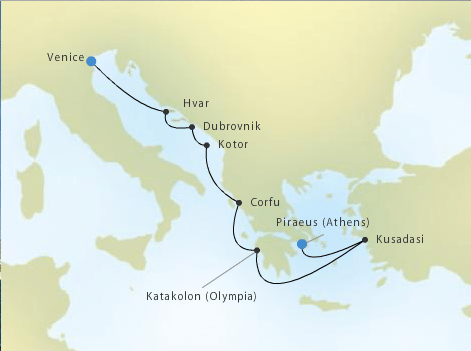 Our voyage on Silver Spirit will take us from Athens to Venice, with some beautiful — and historic — ports in between. Our 9-night/10-day voyage represents one of the most beautiful and varied that I’ve ever cruised, with some of the most picturesque ports of call you could imagine. The end of our voyage even includes an overnight in Venice, giving us time for an evening gondola excursion through the storied canals of the beautiful city — or to do a late night stroll to St. Mark’s Square. My favorite activity in Venice: getting lost, and we’ll have plenty of time to do that with so much time in port. Silversea, in fact, is generous with the amount of time it allows guests to enjoy ports of call, and that’s one of the advantages of cruising on a luxury line like Silversea. The large ships, concerned with fuel savings and onboard revenue, often leave ports as quickly as possible in order to conserve fuel (they depart from port early so that they can sail more slowly to the next port) and begin the onboard revenue machine, selling all sorts of services to passengers. On Silversea, you’ll get lots of time to explore ports, and you won’t need to worry about the onboard revenue machine. There isn’t one. Most everything is included, save for spa services, shore excursions and a couple of dining experiences that would cost you hundreds of dollars on shore. Our earliest departure is at 5 p.m., from Hvar, but nine hours on this Croatian island should be sufficient enough for us to experience it. 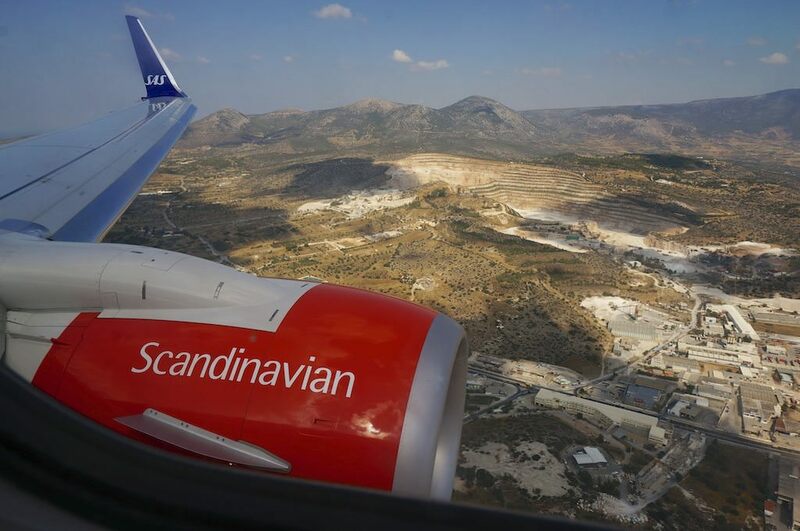 We’re in Kusadasi, Turkey, until 11 p.m., which gives us time not only to explore Kusadasi and Ephesus, one of the world’s most important historic sites, but also to enjoy something that should be truly spectacular: an evening concert at Ephesus. I have visions of this performance already. In the amber glow of the evening sun, we’ll walk down the Marble Avenue, marvel at the two-story Library of Celsus, then take a seat in a semi-circular theater, built in the 2nd century AD, to enjoy classical music as the sun descends on this historic site. It’s hard to imagine a better way to spend an evening than strolling where the likes of Marc Antony and Cleopatra walked and seeing an evening performance featuring the music of such famous composers as Vivaldi, Boccherini, Mozart, Bach and Faure. The itinerary, day-by-day. 10 days, nine nights on board Silver Spirit. Following a sea day, we will visit Katakolon, Greece (Olympia), one of the most important cities in classical Greece. There, we will visit the Temple of Zeus, which housed the gold-and-ivory statue of Zeus, one of the Seven Wonders of the Ancient World. 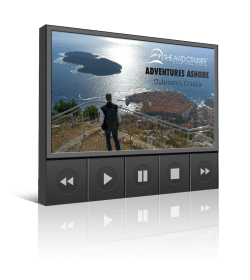 Next, we’ll call on Corfu, where we’ll explore Corfu Town, and the following morning, we’ll transit Bokor Kotorska (Kotor Bay), Europe’s most southerly fjord, and one of the most beautiful bays I’ve ever seen. We’ll continue on to Dubrovnik and Hvar before cruising past St. Mark’s Square to dock in Venice for our overnight. After transferring this morning from the Athens airport to Piraeus, about 45 minutes, we processed our documents, received our room keys, breezed through security (Silversea’s security had no line whereas next to us, there was a long line for passengers boarding Costa Cruises) and stepped aboard to a welcome glass of champagne. From curb to champagne in hand took all of 10 minutes. Stepping on board brought back some pleasant memories, as I have a bit of history with this vessel. As was the case with my 16-year-old son who is traveling with me, I was present when Silver Spirit was born. By good fortune, I was invited to document the ship’s sea trials in the Gulf of Trieste back in 2009. The experience was a bit like moving into a house under construction — long before it is finished. One big difference: This house was moving in heavy seas in order to test the handling and durability of the ship. If you’re interested in reading more about the sea trials and the experience of living on board a ship under construction, see Pitching Camp On Silver Spirit. It has been a couple of years since I have been on Silver Spirit. I was lucky also to have been on a segment of the 2011 World Cruise (read more about that here.) What struck me after a few minutes of being back on board was the warmth of the welcome. So many of the crew members came up to say hello or to shake hands. My son was impressed. “How do so many people know your name?” he asked. “By the end of the week, you’ll find they are very good with names and knowing the things you enjoy,” I replied. Such professionalism and warmth is extended to all Silversea guests. 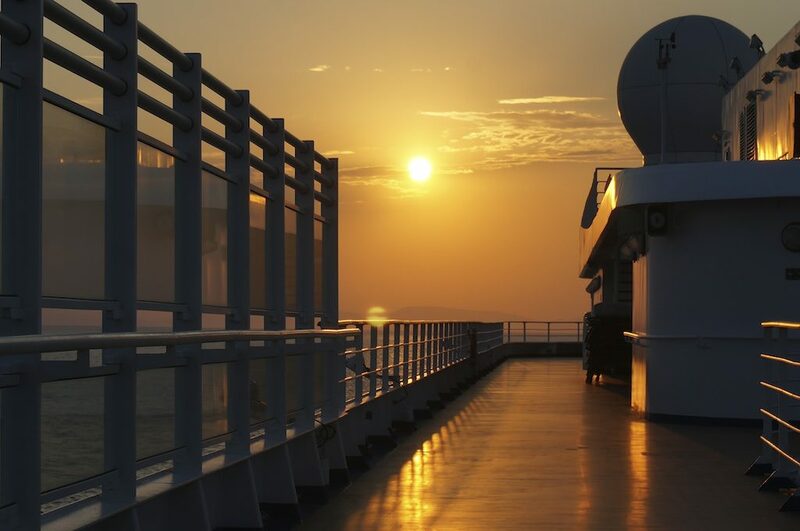 These components, in essence, make up the soul of Silversea. Frankly, the hardware, the ship itself, while beautiful, would be nothing without that soul. The crew, from the captain on down to those who work the laundry room, imbue this vessel with what makes it, and Silversea, so special. 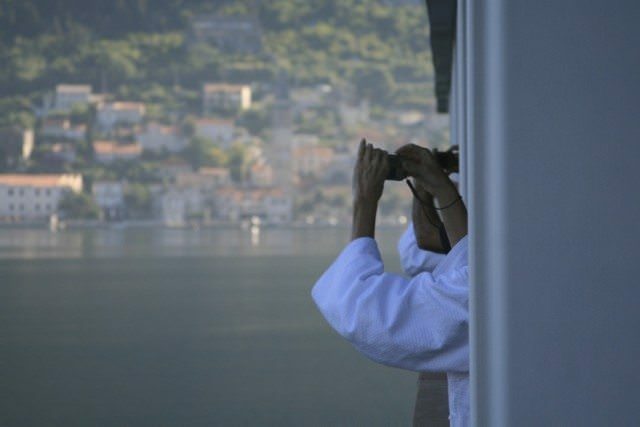 The feeling is something difficult to put into words or capture in photos, but once experienced, you’ll become hooked, like Silversea’s Venetians (the line’s frequent repeaters), who return to cruise the line time and again. Whether you’re a frequent Silversea cruiser or someone who has never experienced Silversea, I’m glad you’re traveling along with us on this voyage to Venice. If you have questions or comments about the voyage or about Silver Spirit itself, please leave them in the comments section, and I will respond as quickly and as thoroughly as possible. Looks like a great cruise, was talking to Cruise Holidays today a Mediterranean cruise there is some great value out there. My husband and I will be sailing on Silver spirit from Rome to Ft. Lauderdale this fall. After reading your reports, we can’t wait! I look forward to reading your reports as well Donna! Thank you! 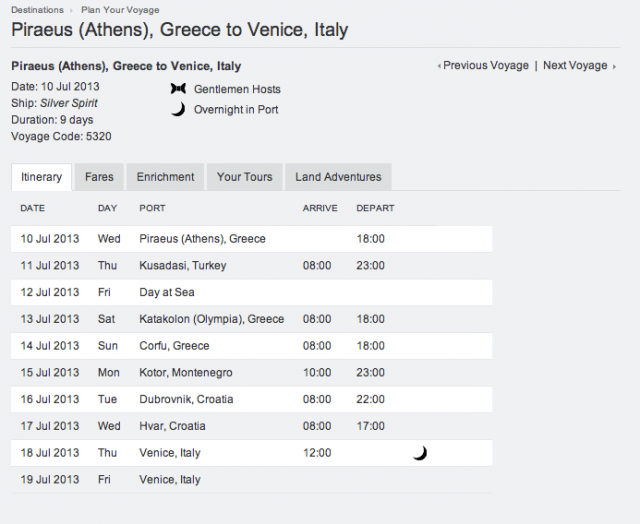 We are first time voyagers on the Silver Spirit (Athens to Venice) and are going through the agonies of packing. Is the formal night ‘formal’ – tuxedo for men and long dresses for women? Grateful for your help to this ‘important’ matter. Thanks for all your pics and info. we cannot wait! I feel your pain! I feel as though I am more appropriately dressed when wearing a tux, although I have worn dark suits at times.